From GNS3 Technologies (per the gns3.com web site). Labs are not integrated, but separate labs found in blogs, marketplace, etc easily performed within GNS3. Some at GNS3 Marketplace, others likely findable online. Uses and relies on real Cisco IOS… but does not supply IOS. Not a lot – installs as a desktop app. Requires IOS (or other Cisco OS’s) but GNS3 does not supply them due to licensing constraints. Great for what it does, but user interface does not include integrated lab exercises. Are Labs Easily Available on the Net? Trusted authors of CCENT/CCNA labs? I'm not in a position to know - sorry! Assuming you have enough laptop/desktop power to run GNS3 there, you need some time to learn the install/setup details. Call it 2 hours. 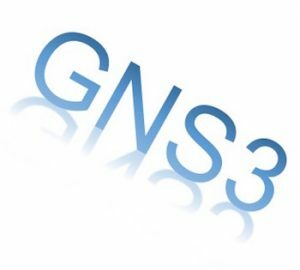 Software-wise, GNS3 is free, and required additional software includes free options. If your laptop/desktop does not have the CPU/RAM to do what you need with GNS3, you will need to add a beefy desktop or small server. Zero software cost for GNS3 itself. You might have chosen virtualization software with an annual fee.